Looking for assistance with your group? From weddings and family reunions to charter groups, event planning and incentive travel, Trusted Tours and Attractions is at your service! If you are interested in personalized services for your group we're here to help!! Thank you for visiting our Website. We've been in the tour and attraction business for 25 years and have combined our knowledge and beliefs into this easy to use and valuable resource for our guests. You won't find every tour and attraction here but you will find the best! We monitor the companies we recommend AND we want to hear about your experiences with them. Our tours and attractions are guaranteed to please and with your comments we can continue to ensure that our members maintain the highest level of quality and excellence. Happy traveling and keep in touch. 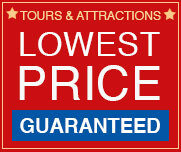 Trusted Tours & Attractions, LLC.